What do sea turtles, habitable planets, and you have in common? The chances that any exist at all are very small. Last summer, my family sat with awe as we watched baby turtles hatch and climb into the sea. Almost every year, my family rents a beach house with a group of friends in North Carolina. We pack all our families together in a fun chaos of adults and kids of all ages. This year, we received a surprise. Right next to the house, a loggerhead sea turtle laid 82 eggs in a nest. Incredibly attentive volunteers furiously protected the eggs all week. They put a little fence around it and warned any adult or child not to get anywhere near it. They told us to turn the lights off in the house at night, so the babies would follow the light of the moon to the sea and not end up on our porch. The volunteers built the equivalent of a little turtle highway with curbs. This sandy path led right to the water, so there would be no mistakes when it was time to be born. My six-year-old kid is named after Thoreau and knows about every animal there is, so I knew he couldn’t miss this. I woke him up in bed and said, “Do you want to get up and go watch sea turtles hatching right now?” He flew out of bed! When we got down there, 30 or 40 people joined us as we watched these little sea turtles crawling in the darkness toward the ocean. In what felt like a celebration of reverse evolution, we clapped and cried and hugged each other as life crawled back into the sea. One of the excited volunteers pulled me aside and told me the odds. The chances that any of these baby turtles would survive a year was about 1 in 1000. The chances they would survive long enough to mate, find this exact same spot on the beach, and lay eggs themselves was even smaller. Despite the odds, people with tears in their eyes celebrated. Despite the odds, volunteers carefully guided turtles who had gotten off the path and helped them into the water. We cheered these 82 new creatures, on their first day of life, crawling their way into the sea. And we knew the odds were that none of them would make it. But we cheered with joy anyway. 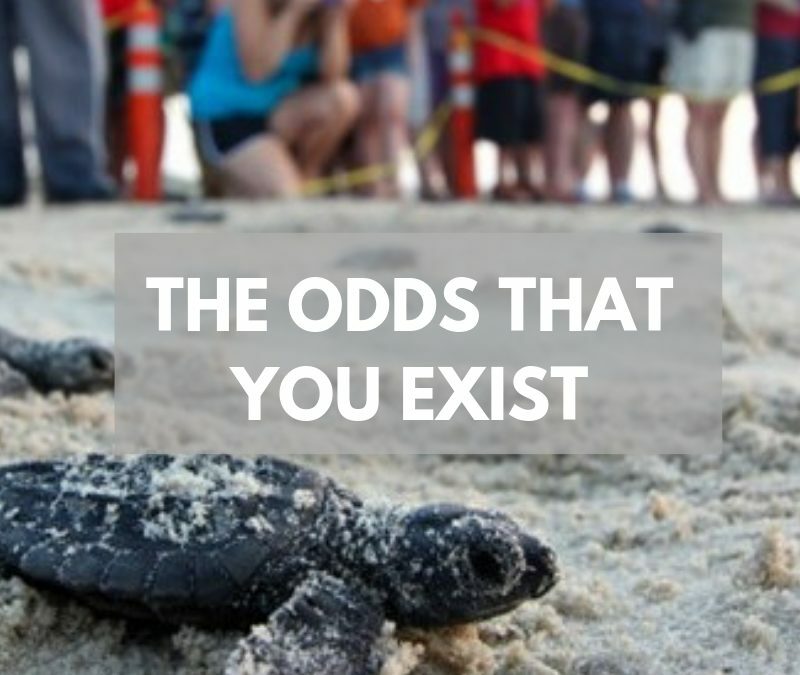 The odds that you exist are much worse than that. The odds of you existing, or life existing at all, are so astoundingly small that the numbers don’t even make sense to a human brain. We live in a universe that has an estimated billion trillion stars. Billion trillion! In that vastness, only a small percentage of planets could even possibly support life. The planet must form just at the right time, at just the right size, at just the right angle, just far enough away from just the right star. 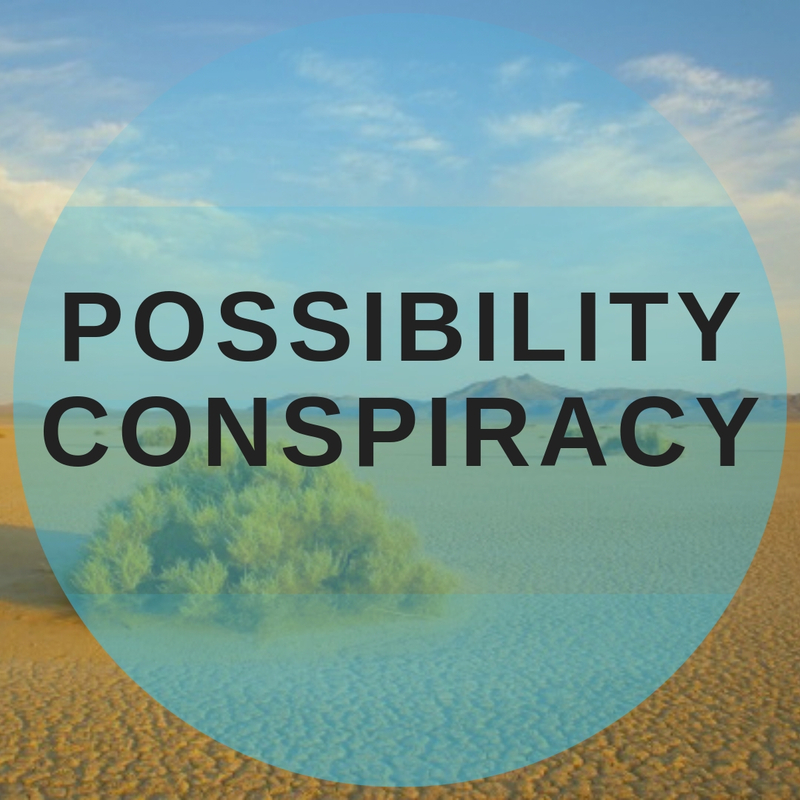 What are the odds that a planet like earth exists? Erik Zackrisson is an astrophysicist in Sweden. He created a complicated formula to find out just that. By his math, the odds that a habitable planet like earth exists are 1 in 700 quintillion. That is a 7 with 20 zeros after it! Even if a planet like Earth exists in those odds, a million more things must go right for you to be born. Life had to crawl out of the sea in the first place and evolve just so. Your grandmother’s grandmother’s grandmother and so on had to jump out of the way of a saber-toothed tiger at just the right time and pass on just enough anxiety so that her children did the same. The fact that you exist is insanely small. I don’t know if we are alone in the universe. But I do know that one day there will be no more human life. That means that human experiences end when we do. Joy, love, rage, violence, peace, generosity, hunger, fear, hope, and creativity. They will disappear when we disappear. It’s easy to postpone happiness or wait until things are just right before we live the most meaningful life we can. It is tempting to put off a full life until we have the right job, the right body, the right family or the right political climate. But we barely got the life we have. If we are going to build anything like heaven on earth, it is going to have to be on this planet, in these bodies, in this moment. The survival rate is eventually zero, and it’s a miracle this happens at all. We exist against all odds. And, like watching those tiny creatures crawl their way into the sea, we can cheer on anyway. This post and last week’s are part of a short series on living with joy in the world we have. You can check out last week’s post here.